You will be working hard to try to make your watercolours look their best. You will find that mixture of colours react different ways, you will discover little tricks that you really like but I can assure you my friends that in a week or two you will have forgotten how it happened. 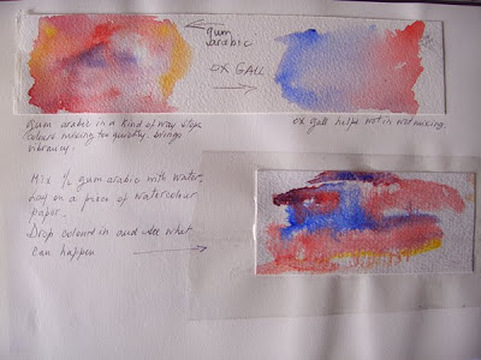 I have bough a thick sketching book - size landscape, make my trials on watercolour paper that I stick when it is perfectly dry, and I write all infos. 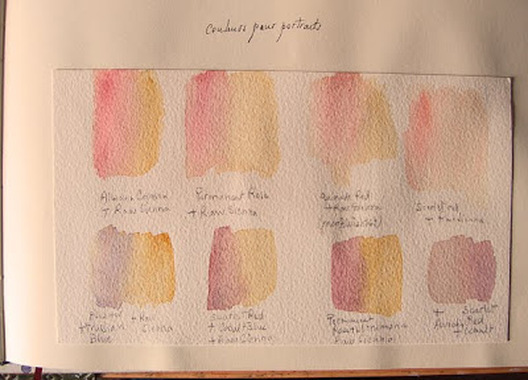 This page is about colours for my portraits. This one was about trying Ox gall and Gum arabic. 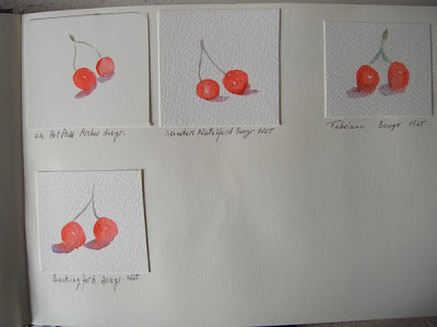 Great fun but no good to keep a watercolour fresh. So I do not use it! 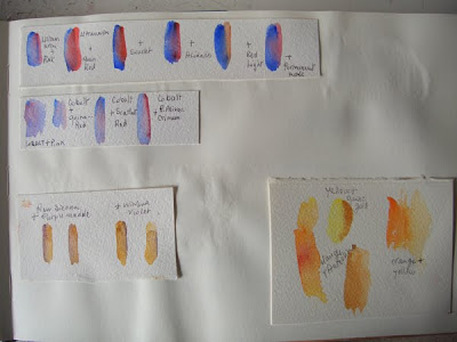 Here,I was trying different colours, blues, yellows etc..
On this page I fixed different kind of papers and painted the same subject with the same amount of paint to see how it was going to react.